This tumble dryer from Hotpoint has been specifically designed to keep energy use to a minimum by using sensor technology in the drum to detect when the clothes are dry. When moisture levels decrease it will turn off automatically. It has an Air Refresh tumble cycle which means you can get lingering odours such as smoke or cooking smells out of you clothes without washing them, this option is also good for anti- crease saving on the ironing. The machine has a 6.5kg capacity drum which makes it ideal for a small family or couple. The Hotpoint TVYL655C6G has 16 programmes plus two temperature settings of low and high. It has all the programmes clearly labelled on the front of the machine and a simple click dial to set to the number programme you require. It has 4 buttons for Refresh tumble, anti-crease and so on, and LED indicator lights. It has a final cool tumble to loosen the clothes and cut down shrinkage as it it=s hot to cod shock that helps cause shrinkage on garments. The cool tumble will also lessen creasing. The machine also has a special woolmark care programme. It has reverse action again preventing the clothes tangling to make them less likely to crease and ironing easier. The dimensions are 59.5 x 85.0 x 62.5. This tumble dryer costs £66.68 a year to run and uses 444.5 kWh of energy per year. It runs quietly at noise level 64db. It gives a little assistance by having an indicator light when the fluff tray is full and needs cleaning. If this is not cleared regularly it can throw the temperature setting off so an indicator light is a handy addition. 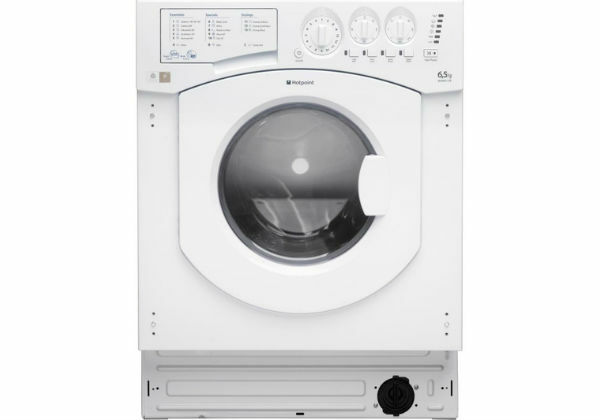 The HOTPOINT TVYL655C6G has a baby cycle for all those baby grows and cot sheets keeping them in good condition and it has a manufacturer’s warranty of a year. This machine retails at a price of £220. Customer said it was a good dryer; cons were that it has too many programmes to choose from. Customers said it was easy to use and efficient, a good all round dryer which looks good in graphite although it also comes in white. They said it was good looking and quality built and that the final beep to indicate the end of the cycle was not too loud and annoying and that the machine runs quietly.